I love a deep purple any time of year. This one is full of silver microglitter and is opaque in 2-3 coats. 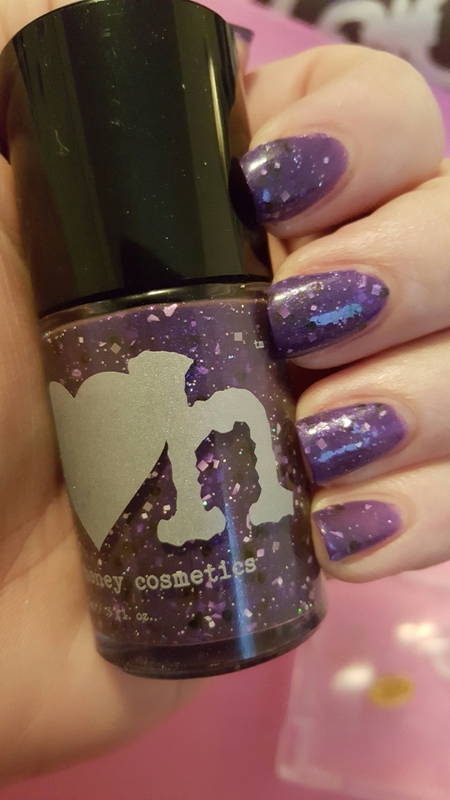 This entry was posted in Nail Polish Collection and tagged glitter, indie nail polish, indie polish, nail polish, purple, rainbow honey, swatch, swatches on April 7, 2016 by Mel. This pretty jelly sports silver squares and tiny holographic glitters. Best in 2-3 coats. 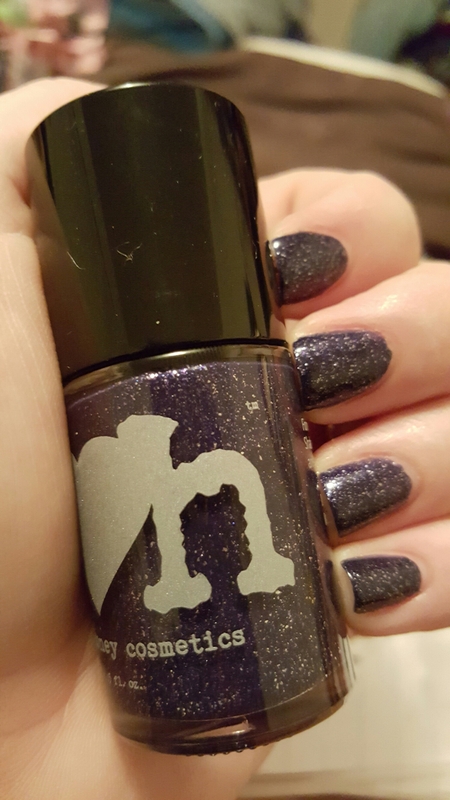 This entry was posted in Nail Polish Collection and tagged glitter, indie nail polish, indie polish, jelly, nail polish, purple, rainbow honey, swatch, swatches on March 25, 2016 by Mel. This beautiful deep green shimmer is opaque in 2 coats. It has an easy inky formula. This entry was posted in Nail Polish Collection and tagged green, indie nail polish, indie polish, nail polish, rainbow honey, shimmer, swatch, swatches on March 19, 2016 by Mel. This deep teal cream is packed with tiny golden glitters. Opaque in 2 coats. 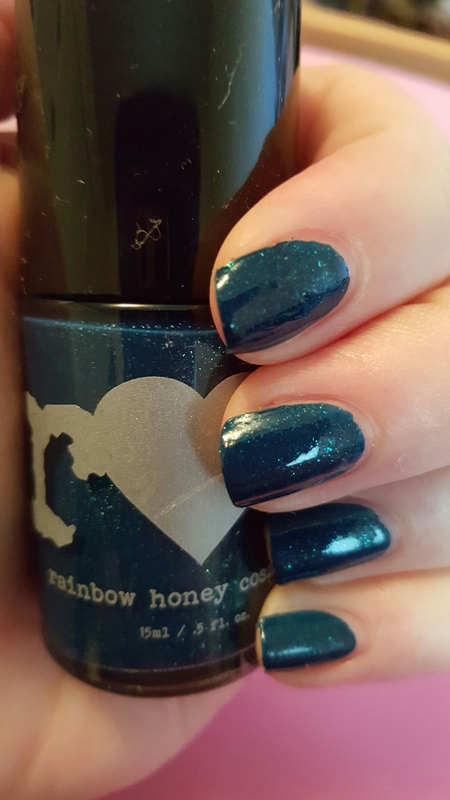 This entry was posted in Nail Polish Collection and tagged glitter, green, indie nail polish, indie polish, nail polish, rainbow honey, swatch, swatches on March 6, 2016 by Mel. 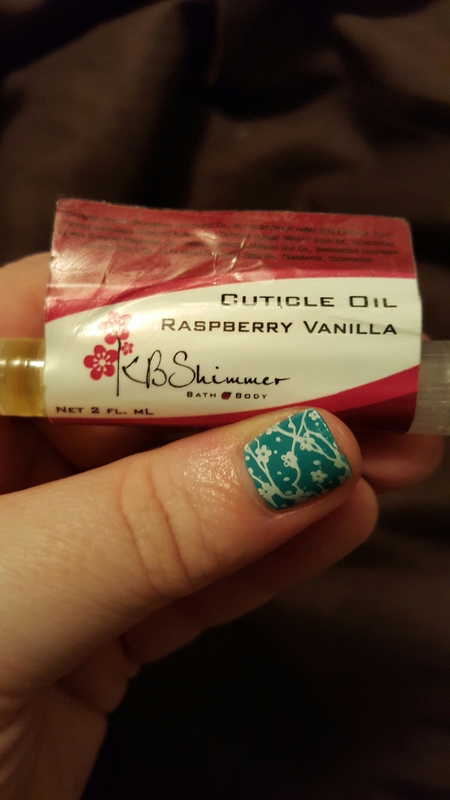 I use cuticle oil like it’s going out of style, but it takes so long to get through a container! I have them stashed everywhere! I kept this pen in my purse and used it throughout the day. Raspberry Vanilla is one of my all-time favorite scents. 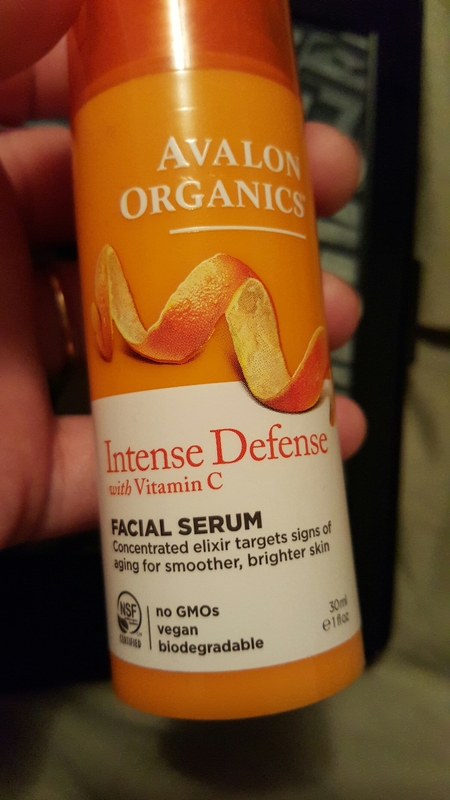 I was a little afraid of this serum at first! I had tried out the Avalon Organics vitamin c toner last year and it burned the ever-loving crap out of my skin. Despite having used other vitamin c products since then, I was still a little sensitive to this. But it was tolerable! By the time I was through with the bottle, I was only feeling a slight pleasant flush. I loved the orange scent. I have cancelled my Rainbow Honey subscription, but I have quite a bit of backstock to go through! Their lotions are very moisturizing and sink in fast. I definitely think they’re worth the spend! Especially for someone looking for ‘cone-free creams. Some of their fragrances aren’t for me, though. I never really took to this one. It didn’t give me a headache or anything, but it had a fresh, yet old lady-like quality to it, that I couldn’t quite pin down. 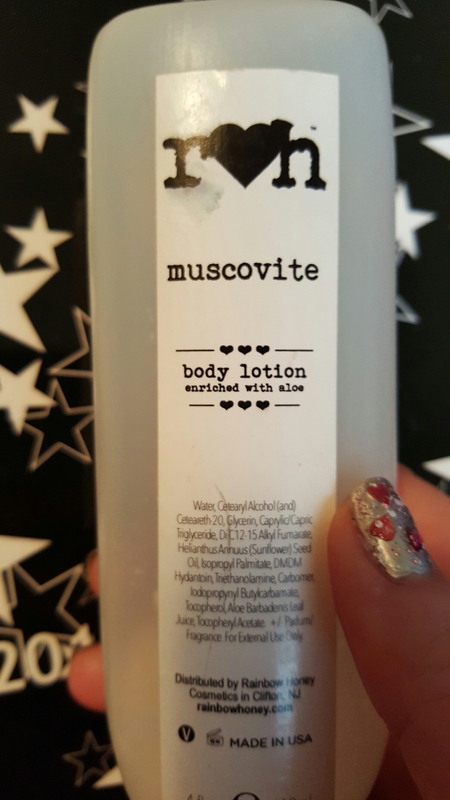 This entry was posted in Uncategorized and tagged avalon organics, cuticle care, cuticle oil, kb shimmer, rainbow honey, serums, skin care, skincare, vitamin c serum on February 21, 2016 by Mel. Anybody else old enough to remember wearing jelly shoes back in the day? Well, this polish dries down to the exact same consistency. This is a very sheer jelly. I never did get it completely opaque, but it would be perfect for jelly sandwiches and sheer manis. 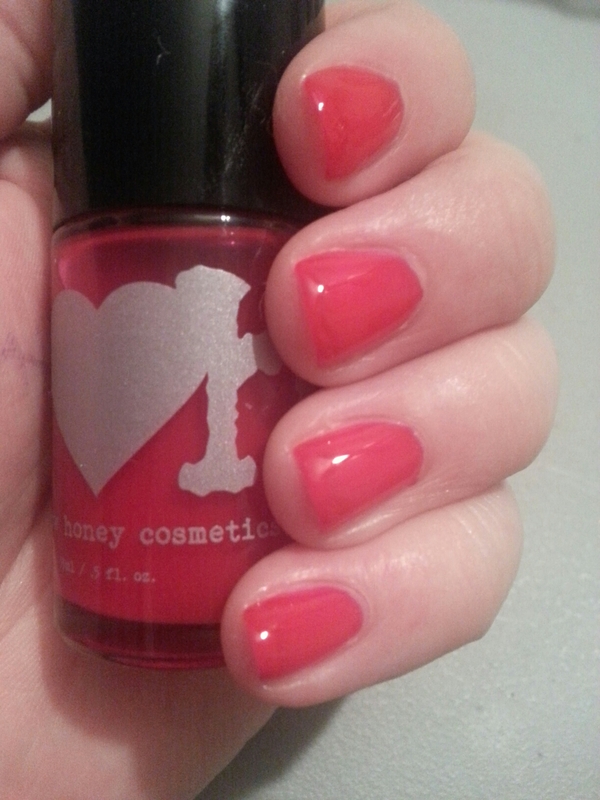 This entry was posted in Nail Polish Collection and tagged indie nail polish, indie polish, jelly, nail polish, rainbow honey, red, swatch, swatches on February 15, 2016 by Mel. I didn’t think this color would work on my skin tone, but it turned out to be just bright enough. It’s nearly invisible on camera, but there are delicate holographic microglitters suspended in it, which gives it a little extra something. Even still, it comes off as a cream on the nail. 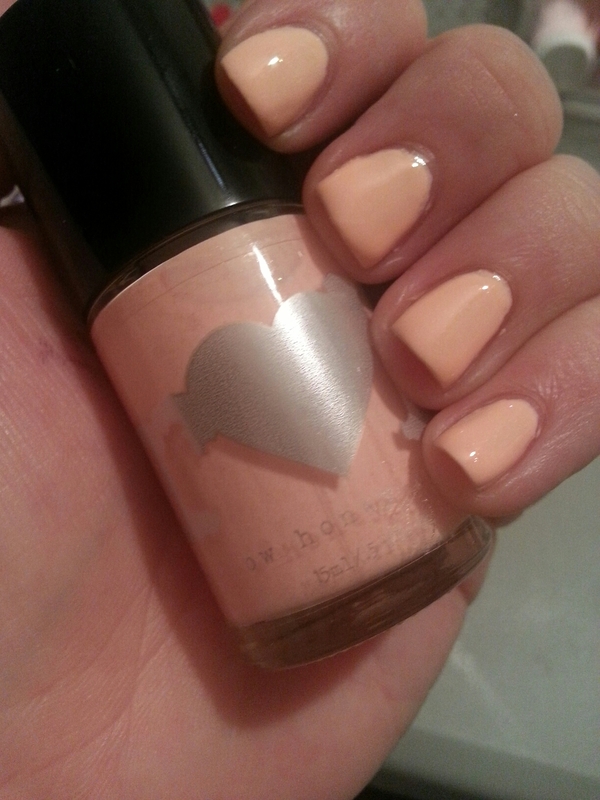 The formula itself is a little chalky like most Rainbow Honey light creams, but sure is pretty when you get it on. Opaque in 2-3 coats. This entry was posted in Nail Polish Collection and tagged cream, indie nail polish, indie polish, nail polish, pink, rainbow honey, shimmer, swatch, swatches on February 14, 2016 by Mel.